The MBA program at Southern Utah University’s Dixie L. Leavitt School of Business produces talented business leaders prepared with the essential skills and knowledge to effectively lead organizations in today’s increasingly turbulent environment. Whether in large, multinational corporations or small, entrepreneurial start-ups, an MBA from the Dixie L. Leavitt School of Business provides you with the powerful foundation required to successfully launch or further enhance your already productive career. Our flexible program design allows you to tailor the MBA experience to best meet your specific needs. From enrolling full-time and completing the MBA degree in just one year, to taking only one course a semester, you set the pace that works for you. Our classes are available both on-campus and online, so you can register for those that best fit your schedule, whether they are all on-campus, all online, or a combination of both. With four online MBA Preparation courses required prior to registration, you can enter the MBA program with a basic level of business proficiency, regardless of your undergraduate degree. All MBA courses are taught by our highly qualified faculty, with both academic and professional experience, ensuring you obtain a solid foundation of leadership and managerial skills. 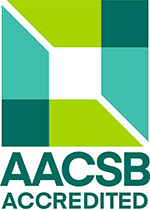 The MBA program at the Dixie L. Leavitt School of Business is accredited by the Association to Advance Collegiate Schools of Business, the highest standard of achievement for business schools worldwide. Students can self select each semester to take 1-5 courses. Students can opt to take summer courses or take summers off. Some students prefer in class instruction, some prefer the flexibility of online, so we offer both. 96.5% Employment rate for program graduates. Dedicated Career Coach for business students with focus on employer outreach to coordinate internship and employment opportunities for students.